"On the pH scale which measures how acidic or alkaline substances are on a scale of 1–14, 7.0 is perfectly neutral. With a pH of 6.6 - 7.1, resource® has a naturally balanced pH level". The company offers many different options in obtaining their water. Most grocery stores sell it or you can have it delivered to your door by ordering online. So just think no more having to carry that 24 or 32 pack of bottle waters anymore. Right now there website is offering 50% off your first order with free delivery. (Please check site, this offer could end anytime). If you have never tried this water, I would suggest you try it. 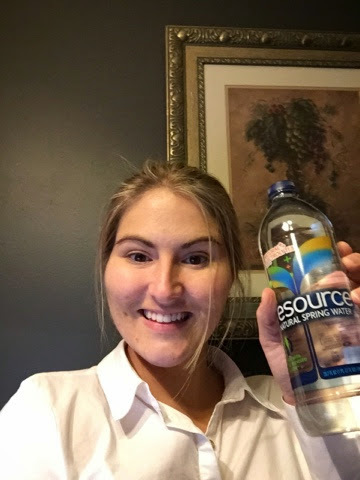 If you try the Resource Springs Water, let me know. I would love to compare my thoughts against yours. Thank you Influenster for picking me for the Moda VoxBox. Disclaimer: I received these products complimentary from Influenster for testing only.